Emma Winston Parrott was born on 20 October 1859 in Wisconsin or perhaps a year or two earlier. Elizabeth Parrott appeared in the US federal census of 1 June 1860 in Quincy, Olmsted County, Minnesota, enumerated between her parents and the family of Alexander Mills.. Other members of the household included Emma Winston Parrott, Louisa Asbridge and Thomas William Asbridge. Emma is identified as "Emma Winston," age 3. Henry Charles Parrott and Susannah Neale appeared in the Minnesota state census of 1 June 1865 in Quincy, Minnesota, enumerated between daughters Rose Ames and Elizabeth Small.. Other members of the household included Emma Winston Parrott. Henry Charles Parrott and Susannah Neale, appeared in the US federal census of 1 June 1870 in Quincy, Minnesota, enumerated a few households from Alexander Mills and his family.. Other members of the household included Emma Winston Parrott. Also in the household was William Parrot, age 18, also born in Wisconsin, whose origins are not yet known. Henry Charles Parrott and Susannah Neale appeared in the Minnesota state census of 1 May 1875 in St. Charles, Winona County, Minnesota. Other members of the household included Emma Winston Parrott. Susannah Neale appeared in the US federal census of 1 June 1880 in St. Charles, Minnesota. Other members of the household included Emma Winston Parrott. Emma is identified as Susan's granddaughter. She married Alexander Mills, son of Thomas Mills and Mary Stevenson, on 2 April 1883 in Bismarck, Dakota Territory. Alexander Mills and Emma Winston Parrott appeared in the US federal census of 1 June 1900 in Rock Creek, Whitman County, Washington. Other members of the household included Edith Abby Mills, Robert Henry Mills, Alta Ione Mills and Thomas Arthur Mills. Alexander Mills and Emma Winston Parrott appeared in the US federal census of 15 April 1910 in Union, Whitman County, Washington. Other members of the household included Edith Abby Mills, Thomas Arthur Mills, Blanche Cameron, Robert Henry Mills, Alta Ione Mills and Allene Leone Mills. Alexander Mills and Emma Winston Parrott appeared in the US federal census of 1 January 1920 in Ritzville, Adams County, Washington, at 33 Sixth Street. Other members of the household included Allene Leone Mills and Dean Deveaux Williams. 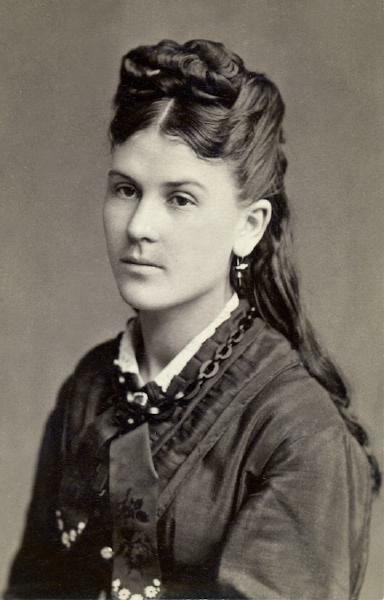 Rooming in the household was high school teacher Clara Post, age 25. Robert Deveaux Williams appeared in the US federal census of 1 April 1930 in Sprague, Lincoln County, Washington, at First Street. Other members of the household included Emma Winston Parrott, Dean Deveaux Williams and Alexander Mills. Robert and son Dean also are enumerated in 1930 in adjacent Adams County. Emma Winston Parrott died on 30 January 1956 at age 96 in Ritzville, Adams County, Washington. She was interred at Greenwood Cemetery, Spokane, Spokane County, Washington. The following appeared on 2 February 1956 in the Ritzville Journal-Times: Funeral services for Mrs. Emma W. Mills, 96-year-old Inland Empire pioneer who died here Monday, were held Wednesday at the Sprague Community church with burial at Greenwood cemetery, Spokane. She was living in Sprague with a daughter, Mrs. Park N. Smalley. Mrs. Mills and her husband, Alexander Mills, came to Washington from North Dakota in 1892. They lived at Tacoma and Pullman before settling on a farm near Sprague. Later they moved to Ritzville where they lived for 12 years. Since her husband's death in 1936, Mrs. Mills had lived both with Mrs. Smalley in Sprague and with another daughter, Mrs. Richard B. Ott, in Ritzville. Mrs. Mills was a member of Henrietta chapter of the Order of Eastern Star at Sprague and had been a member of the Espicopal church, later. Mrs. Mills also was survived by two sons, T. A. Mills of Sprague and R. H. Mills of Spokane, three grandchildren, Dean D. Williams of Portland, Don M. Smalley of Santa Barbara, Calif., and Mrs. Willard Hennings of Ritzville, and five grandchildren. Another daughter, Mrs. R. D. Williams, had preceded her in death. Danekas and Duncan funeral home was in charge of arrangments. Emma's parents have not yet been identified. She first appears as Emma Winston in 1860 in the household of Elizabeth Parrott Asbridge, next to Elizabeth's parents Henry and Susannah Parrott. In 1865, 1870 and 1875, she is identified as Emma Parrot(t) in Henry and Susan's household, and in 1880 she is with Susan, identified as her granddaughter. She identified herself (in the family Bible) as Emma W. Parrott. Also in the Bible, she referred to Susan Parrott as "grandmother and mother." The rest of the story remains to be discovered.